Kennel Sponsorship is a unique opportunity to publicly announce that you are an active contributor to the Edmonton Humane Society and a vital player in fulfilling the mission of enriching the lives of people and companion animals through animal sheltering, programs and services, and community engagement. 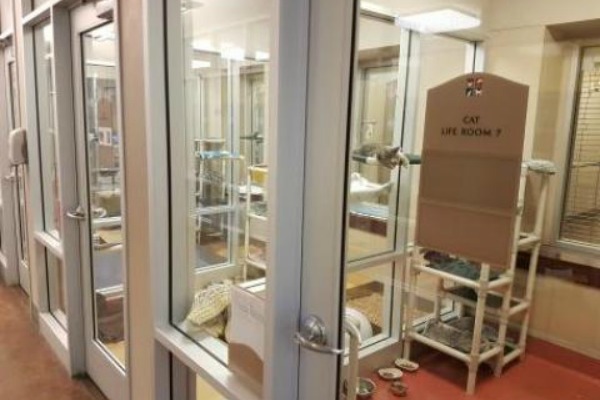 Revenue generated from the Kennel Sponsorship Program is used to support vital programs and services of the Edmonton Humane Society such as our Adoption Program, Behavior Program and the Veterinary Medical Program. Each year you will have the opportunity to renew your sponsorship. Monthly payment options are also available.